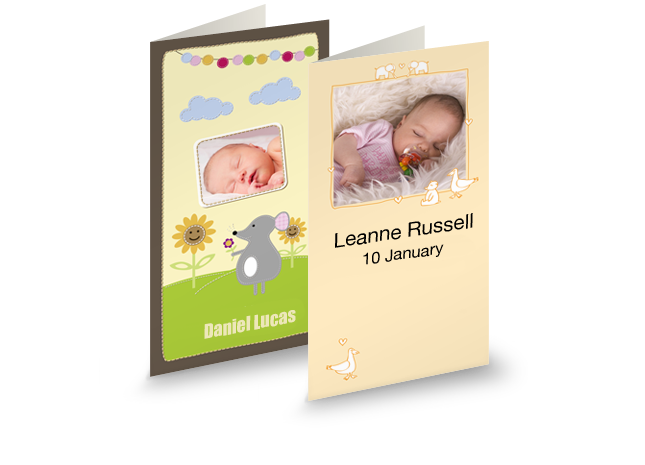 Your personalised greetings in XL format. 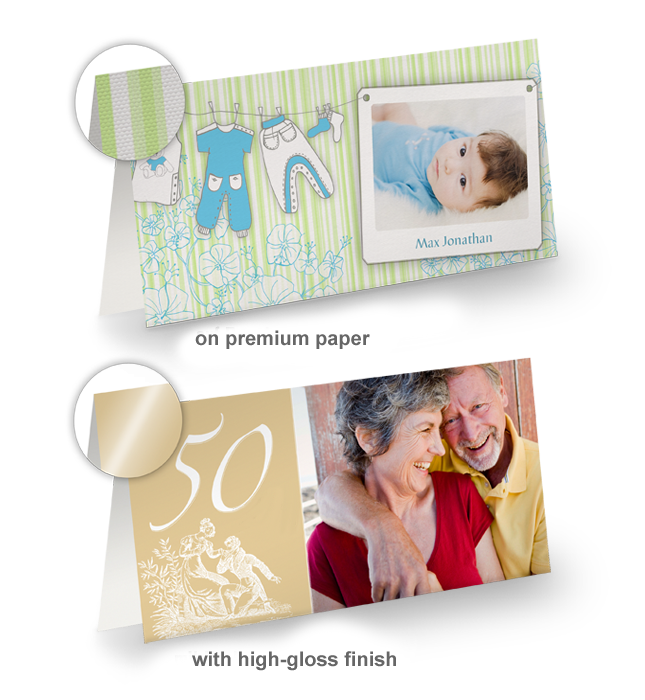 Design the inside and outside of your XL greeting card to your very own taste. 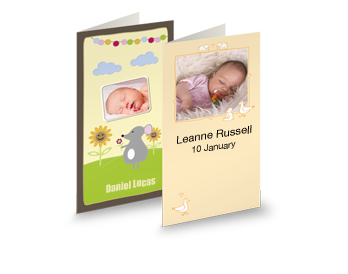 In portrait or landscape format, with a combination of your pictures and our designs, your greetings will be particularly welcome. 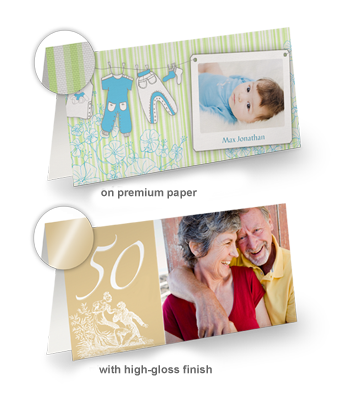 Available in sets of 10 with matching envelopes in a smart package.